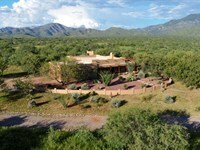 This 38 acre ranch is set amid the sweeping landscapes of the Colorado Plateau in eastern Arizona. This is a land pristine woodlands and open grassy valleys free of human habitation, urban noise, crime and pollution. Here fresh pure groundwater is in abundance from two massive underground aquifers that supply those lucky enough to own land above them with a secure source of water for both domestic and irrigation purposes. The climate in this lush wilderness is exceptional. 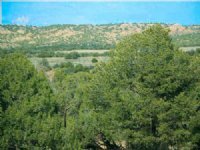 At a cool and clear 6,200 foot elevation, the comfortable seasonal temperatures allow ranch owners to enjoy their land year-round. The days here are sunny, the nighttime sky clear and the mountain air clean and refreshing. Occasional winter snowfalls are light, rarely exceeding more than two to three inches. Summer days are warm and sunny, but never hot. Average daytime summer highs are in the mid to upper 80s. 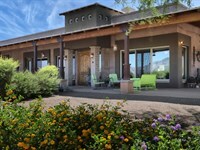 The seasonal July/August monsoon rains bring additional cooling and turn the native grasses lush green. Throughout the summer, colorful mountain wildflowers spread across the land’s meadows. 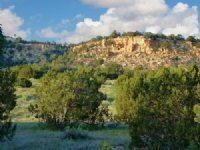 This is an exceptionally quiet and peaceful land of panoramic mountain vistas and broad grassy valleys teeming with free roaming elk, antelope and deer. 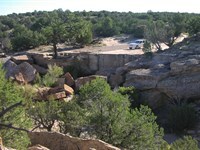 The property is roughly square in design measuring 1,573’ X 1,045’. 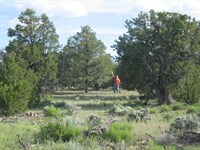 The land is the perfect blending of woodlands and meadows. 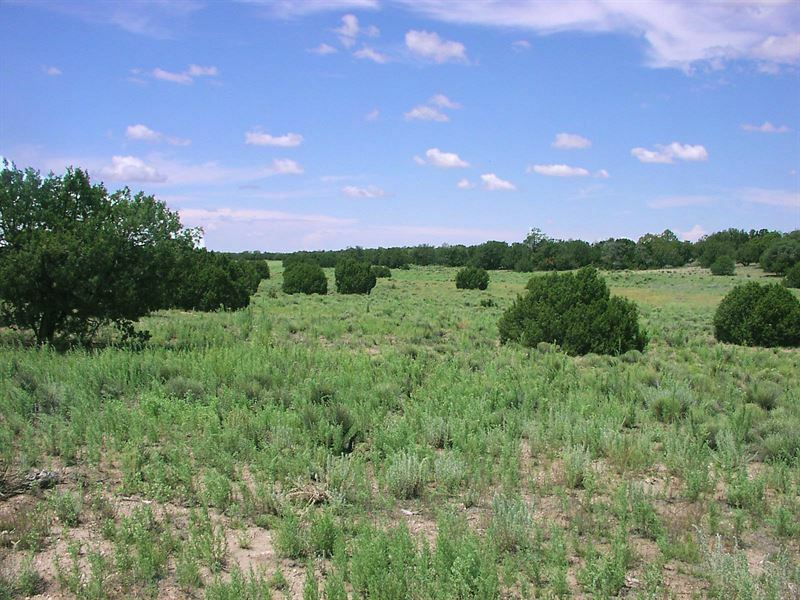 The southern 18 acres is primarily open grassland growing in a soft sandy loam soil. There is no rock in the property to contend with. Everywhere you walk on this property, you walk on usable tillable soil. The property transitions form the meadow into approx. 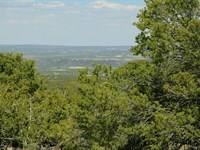 20 acres of trees with several open sections ideal for siting a cabin or to park an RV. 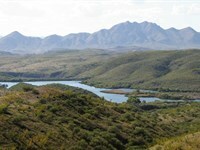 The best of these sites is located along the brow of a pronounced rise which affords uninterrupted views to the north where a wilderness valley spreads out across the horizon. Solar exposures throughout the land are full 360. Water reports from AZ Water Dept. quotes shallow depths to water. Report available on request. 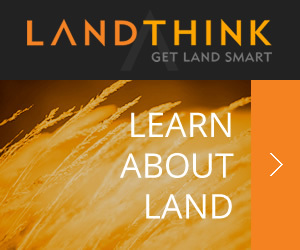 Road access to the land is built on title insured right of way easements. 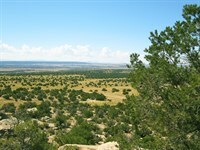 The road is maintained, although this is a secluded and remote ranch and weather will sometimes require four wheel drive traction should a light snow or monsoon rains affect the road’s drivability. The nearest town is approx. a 35 minute drive away. It is the County seat and has a good compliment of town services. Another 10 minutes from town is a large fishing and boating lake. 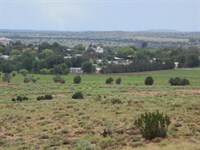 This land is title insured and available with no qualifying seller financing. The seller will pay all escrow costs. $27,500 total, $2,750 down, $237 month. Tract 275 Sierra Highlands Ranch. Please call First United Realty at to schedule an appointment to walk this land and other similar properties in the area. 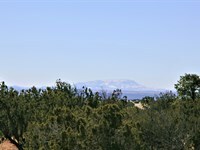 When calling broker, please say, "I found your listing Remote Northern Az Ranch $237 Mo on FARMFLIP."